Abraham Leon specializes in investment sales in the retail sector at Fortis Net Lease. He first came to Fortis Net Lease from Signature Associates where he specialized in retail sales and leasing in the Southeast Michigan market. Upon finishing his MBA, Abraham began a career as a Wealth Advisor at LPL Financial. 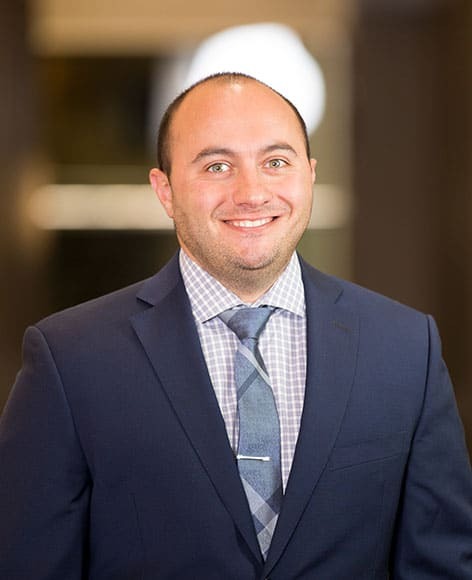 His passion to research real estate investments and his experience advising on new business developments are what led him to change careers into Commercial Real Estate. Prior to that Abraham had 10 years of retail experience specifically in the restaurant industry. His family owns and operates several restaurants and bars in Michigan, Ohio, and Florida. Abraham’s work experiences have provided him with a deep understanding of the capital investments that are required for business and also given him the ability to relate to clients in the decision making process. Growing up in a family business has structured him with a hardworking, enthusiastic, and competitive personality that ultimately benefits his clients and serves to strengthen his relationships. Abraham is happily married to his high school sweetheart Angela Leon, and enjoys spending his off time with his two daughters. He is a University of Michigan Football fanatic and an ambitiously hopeful Detroit Lions fan. Abraham is a devoted member of St. Mary’s Church and is consistently involved with the Make a Wish Foundation and the Kirsten Haglund Foundation.